Update: GoDaddy Outright is now $9.99 per month. I have since switched to Wave. 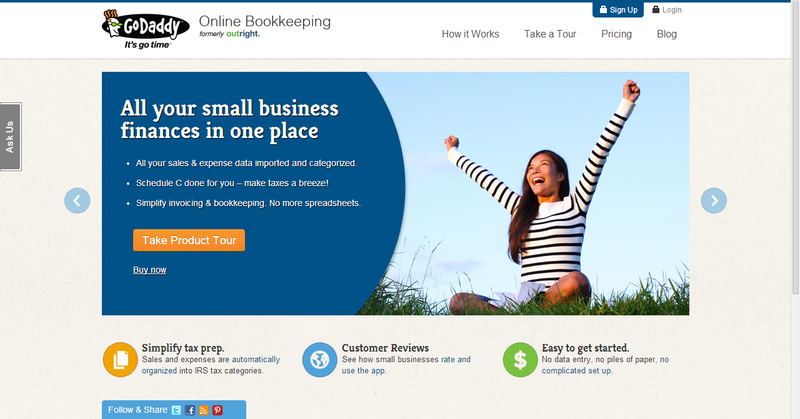 I've recently decided to give GoDaddy Outright Bookkeeping a shot! I'm so glad I did! It's free and so user friendly! Outright is free! You do need a GoDaddy account and set up is a breeze! After you set up your GoDaddy account, you can learn more about how to set up your Outright account here. You can link your Etsy account, Paypal account (essential for Storenvy users!) and even your bank account! Your expenses are automatically divided into tax categories such as Etsy Direct Checkout Processing Fee and Paypal Fees. My favorite part about Outright is the ability to upload CSV files! This is very important to me as I need to be able to record my income and expenses from offline sources. For me, these sources are the anime conventions I participate in ever year. I have created a tutorial below on how to get started on uploading a CSV to your Outright account. 1. Click on Income or Expenses and scroll down the bottom. 2. Click on the Import button and the screen below will come up. I'm using Open Office so this is what the spreadsheet looks like. 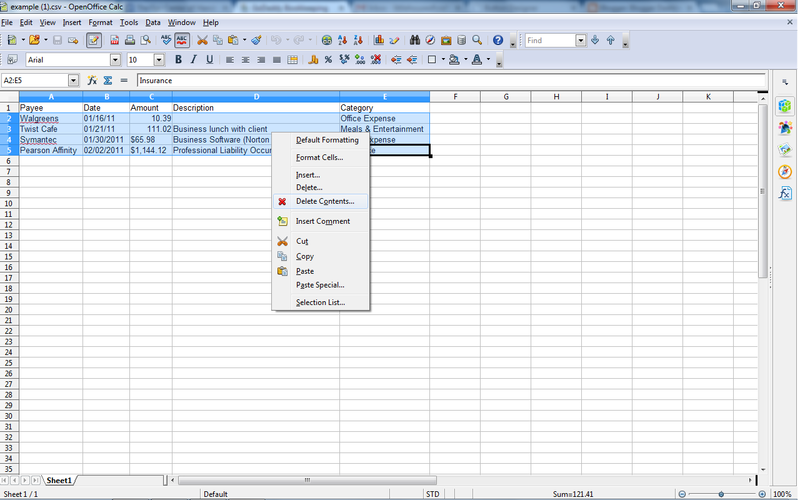 I keep the categories and delete the contents that the example CSV provides. You can then begin typing in your data. Or, if you have spreadsheets already made, you can copy and paste the data into the example spreadsheet. You can put in the categories yourself or you can do it later after uploading. Making the CSV file is time consuming but it's so worth it! Make sure you save the file as a .CSV file! Once your CSV file is complete you upload your income or expense CSV sheet. You will receive an email when the upload is complete. If you didn't fill out the category section in the spreadsheet then you will need to go back and categorize the transactions. It's so easy! 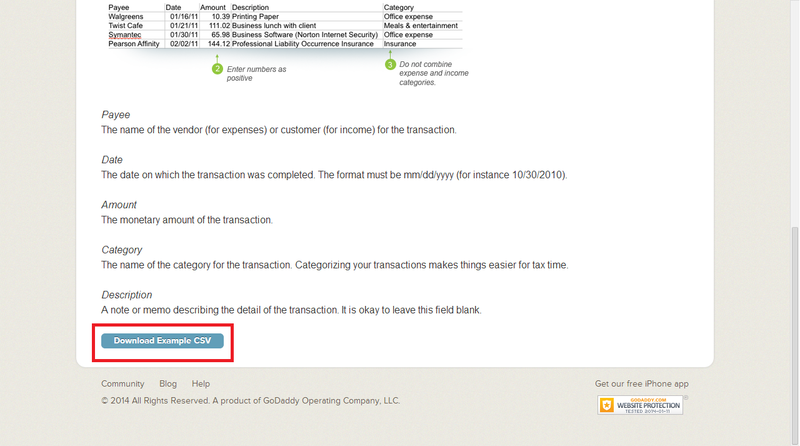 Just click on the transaction and use the drop down menu to choose the category. If you have a lot of transactions the categorizing is time consuming as well but it's so worth it come tax time! You can either pay the $10 for the month to have Outright complete the Schedule C based on the transaction categories. 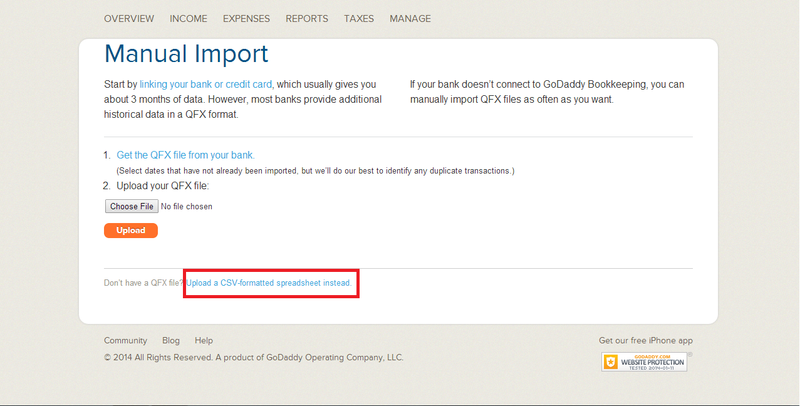 Alternatively, if you go to have a CPA, you can export the transactions into a CSV file! The exporting method is very similar to the importing method. At the bottom of the Income or Expenses tab you click Export instead of Import. I hope this article gave you some insight into what Godaddy Ouright can do for you! Was this article helpful to you? Tweet it to share with others!